Everything in Korea is really convenient. One of the things I most enjoy is online shopping. I always know exactly what I want and then one of my Korean friends / colleagues orders it for me. Depending on what you order, it could even be delivered the following day. 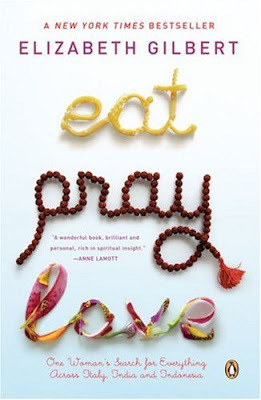 So over the w'end, my Korean brother (No-su) ordered a book for me: Eat, Pray, Love by Elizabeth Gilbert. I didn't jump on the bandwagon when the rest of the world was raving about this a few months ago, but after reading a few reviews I had to see for myself what it was all about.